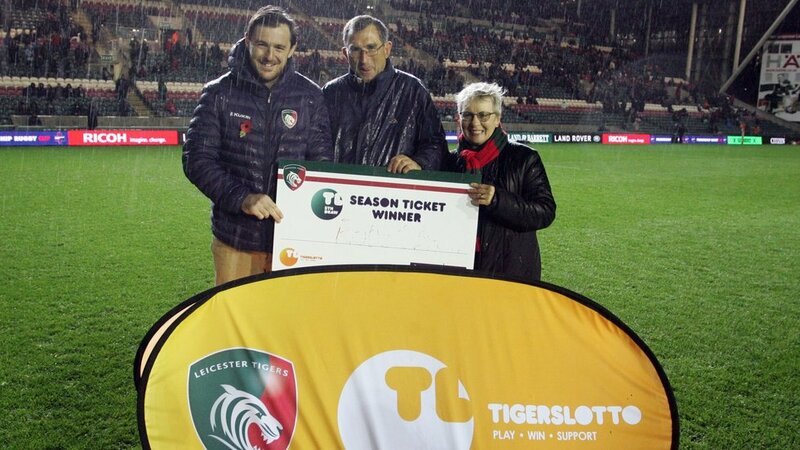 Leicester Tigers season ticket holder Robert Allen braved the rain at half-time during Tigers Premiership Rugby Cup fixture against Sale Sharks at Welford Road as he was announced as this week’s TigersLotto season ticket holder draw winner. 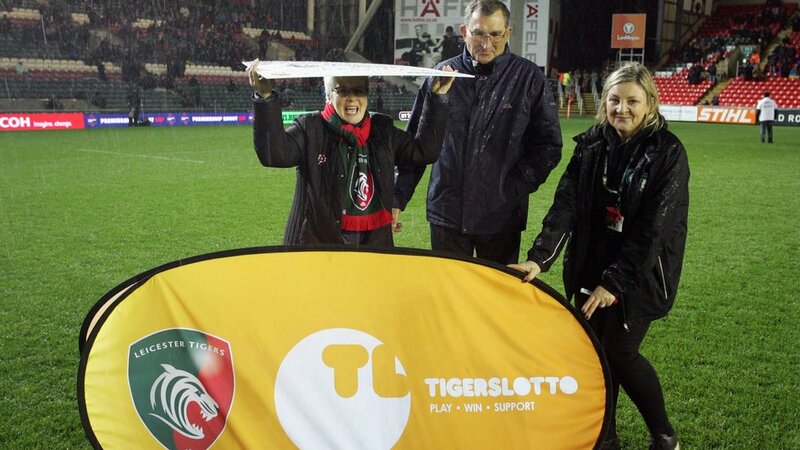 Robert was joined by his wife Joan as the pair posed for a photo with Tigers star Matt Smith out on the famous pitch. 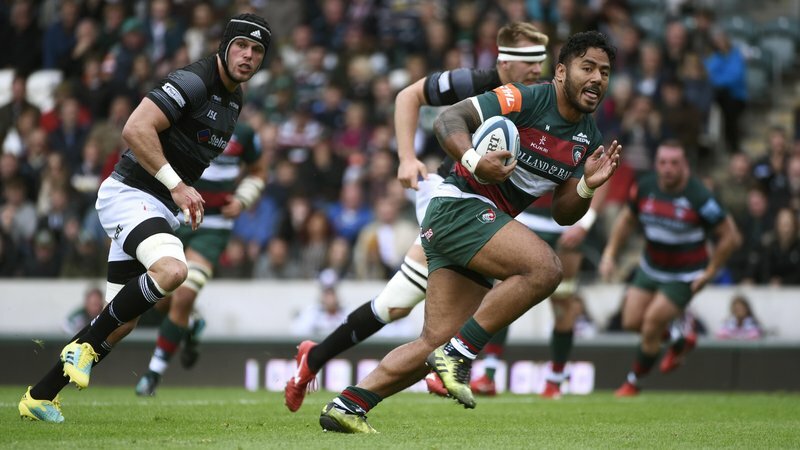 Robert has won back the cost of his Tigers season ticket and spoke of his surprise at being a winner. 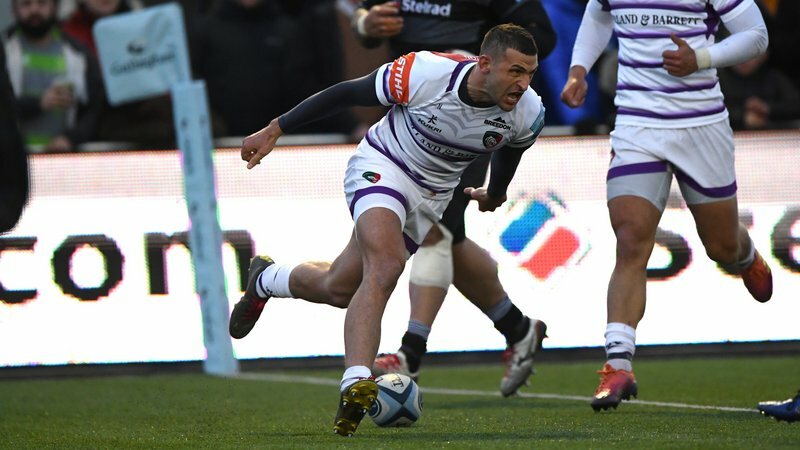 On a wet and windy night at Welford Road, Robert said: “I was surprised to get the call to say I’d won – usually I don’t answer the phone when people ring me but I’m glad I picked up on this occasion. 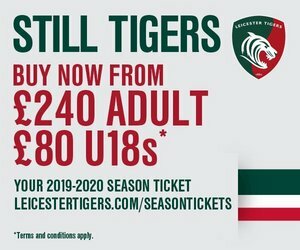 TigersLotto gives season ticket holder members the chance to win back the cost of their season ticket at every home game at Welford Road as year.